Finally! Our weekends are filled with the sparkle of a thousand sequins once more! YES – Strictly Come Dancing is back on our screens and it is filled with all the fancy foot-work, and funny-faces to really tickle our Saturday nights! Strictly is the perfect balance of classic tradition and fresh on-trend vibes. From old school actors to hott new pop stars, a fantastic and diverse range of celebrities take to the floor to dazzle us with their newly acquired talents. Whether it’s a sassy Samba, a juicy Jive, a romantic Rhumba or a fabulous Foxtrot; we see every imaginable genre of dance light up that magical ballroom floor. Add in some truly theatrical performances, conceptual direction and that awesome Strictly band playing all the latest and classic chart-topping hits… Strictly gives us a totally glitzy glam spectacular. Which is exactly what we need in those bleak and dreary winter months… dazzling show stopping dancing and, glistening glitter, beaming smiles and a touch of Hollywood glamour. But it isn’t just the ravishing aesthetics, the bants between the Judges and our fave celebs is jokes! And those dancers train super hard as they battle it out for that Mirror Ball trophy! Our favourite bit? When the professional dancers perform their incredibly technical, West-End worthy, breath taking performance! And they even have guest music artists… and the pros do even more astonishing and magnificent dancing… can this show get any more WOW?!? It’s no surprise that this show is such a mega hit – it appeals to everyone! All ages, all genders. Whether you want some man-candy, mesmerised by the costumes, admire how hard someone has progressed, or just love a giggle. Strictly Come Dancing appeals to everyone! Which is why we think so many of you choose a Strictly Come Dancing Experience for your Hen party, Birthday Party or Corporate Party. Who doesn’t want even just a shimmer of the fabulousness of Strictly Come Dancing? With all the demure and extravagance of Hollywood Glamour, where feathers are subtle, where fringed skirts are modest, where you can never sparkle enough! Grab your hairspray and a quick-step hop this way, join Dance Party Experience for a London Exclusive Strictly Come Dancing masterclass. Our professional teachers will have you Strictly owning that dance floor. Who better to teach you? Our professional dance party teachers have not only appeared on BBC’s Strictly Come Dancing, but our Sean is one of the assisting choreographers! Yes, you could be taught a dance class by the man who creates the steps for the world’s famous dance floor! Eddie stuns and wows audiences across the world on luxury cruise liners with his fabulous dance partner! Aaron is a pro on ‘Dancing With The Stars’ Sweden! Our other boys have Waltzed in Burberry commercials and Matt played Johnny Castle himself in Secret Cinema’s Dirty Dancing where he taught latin dancing to thousands! Our professionals know all the techniques and rhythms to get your rhumba ready. So even if you’re a group of lads on a stag party, our gents can show you how real men move! Your dance class will begin by learning the basic poise, holds, footwork and rhythms of your chosen Strictly style. So even if you fluff up the routine later, you’ll look elegant doing so and able to cha-cha right back in! 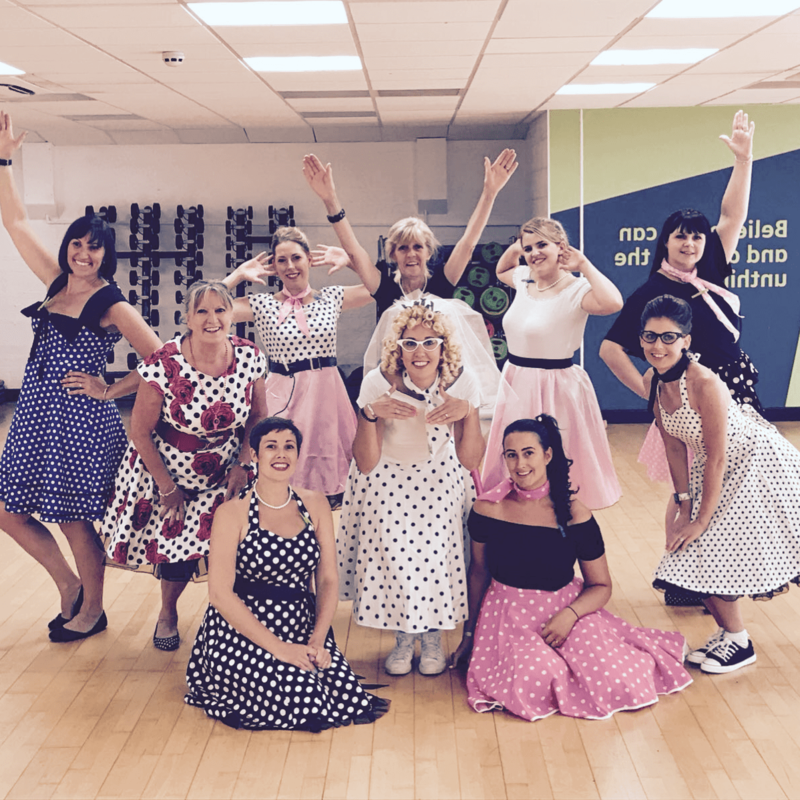 It’s a professional dancer’s trick ;-) Before we get into the swing of things and your glitter has a chance to sweat off, we’ll have a quick Strictly group photo opportunity, so show us those Hollywood pearly whites. The Strictly dance routine will be taught at the groups pace step by step and can be learnt as a solo group dance with elements of partnering. So whether you’re on a hot date or with some friends, you’ll know how to handle the dance-floor as a soloist and a duet. Did you know Dance Party Experience is a top trending hen party activity?!? And we hear one of the reasons is our wardrobe of FREE accessories that you can beg steal or borrow. We can provide you with our long black sultry gloves. Perfect for the Hollywood Ballroom sophisticated touch or the sensual Latin flavour. Of course, if you want to dazzle like Tina Sparkle, do bring your best Strictly Ballroom costumes! Or request our FREE face gems to bejewel your beautiful faces! Quicker than a Quick-Step, faster than a Cha-Cha our Strictly parties sell out like a Strictly Come Dancing final. Book your Strictly Come dancing experience now.